This past weekend I headed out with Thing 2 to the cottage that my parents were renting to help them clean it out for the season. Not coincidentally, this happened to be the same weekend as the Ladysmith Oktoberfest celebration, so we had to stop on by. I’m mostly of British, Irish, and Scottish descent myself, although heaven knows that our family tree hasn’t been tracked back very far, so it’s possible that there are many other nationalities mixed in there further back. My husband, though, has strong ties to German and Poland (close to the German border) through his maternal grandparents, so my children share this heritage as well. I thought it might be nice for Thing 2 to get a glimpse of this part of her family history. 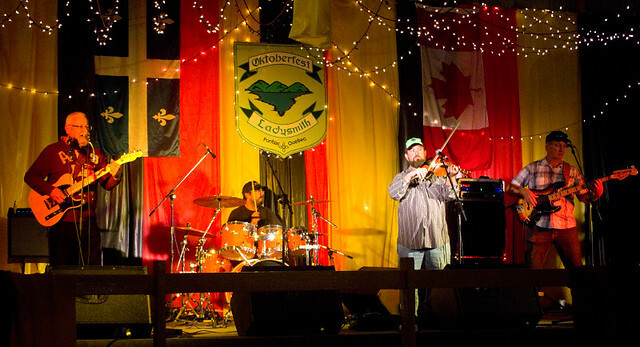 Oktoberfest in Ladysmith is a pretty big deal locally. As of the 2016 census, there are only 448 people who live in the Thorne township; I would estimate that less than half of that population lives in Ladysmith proper. 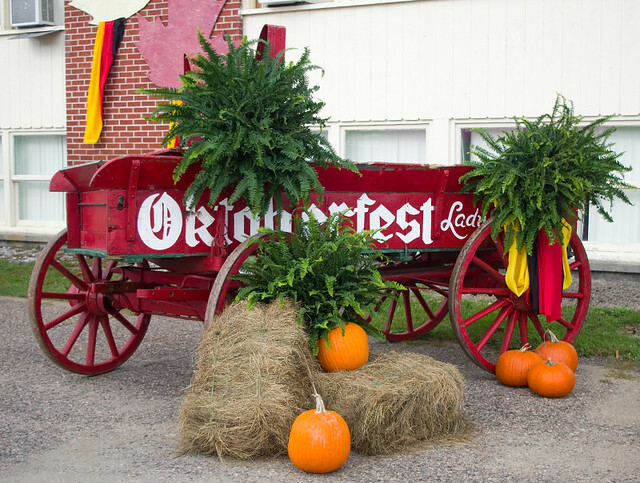 Nonetheless, when Oktoberfest rolls around, the hotel and nearby cottages are booked solid, and the fields and yards nearby are filled with campers and trucks and tents. 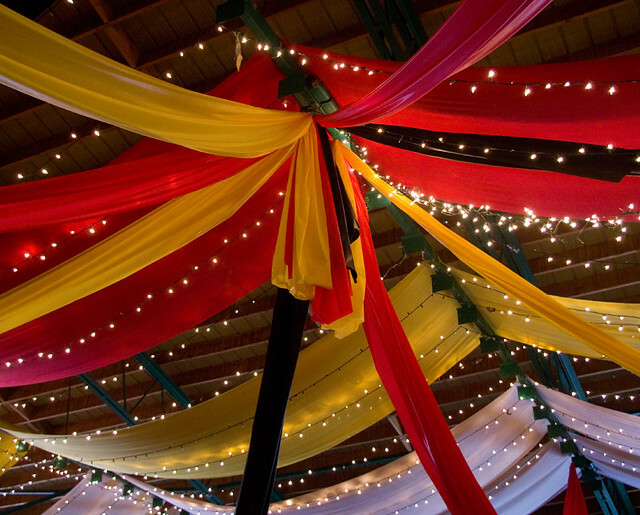 People come to visit with friends, take in the entertainment, shop, dance, drink, and celebrate their cultural heritage. After all, a large percentage of the population thereabouts is of mixed British Isles and German descent — which is why, despite being in Quebec, the area remains predominantly anglophone. For Thing 2, the highlight of Oktoberfest was the live music. Music has always been able to soothe this savage little beast. She sat, enraptured, as the Kyle Felvhaver Band did two sets. When the Ottawa Valley Step Dancers came in, she was enthralled by the rhythm that their shoes tapped out. And when the band played slow dances and waltzes, her eyes followed the dancers on the floor as they circled around the room. She enthusiastically proclaimed to me that when she is old enough to take music at school, she wants to be a drummer! With Thing 1 starting to learn clarinet this year (just like her dad did), I have a feeling that between the two girls, any peace and quiet we ever did experience at home is now a thing of the past. And yet I can’t begrudge them an instant of it. Thing 2 also insisted that I take a picture of the decorations on the ceiling with all of the “fairy lights”. 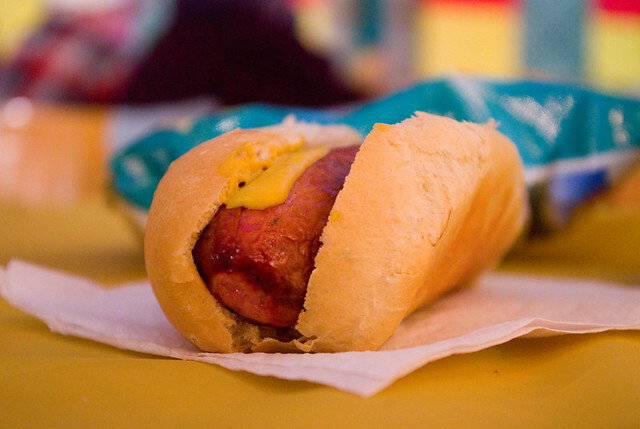 Of course, Thing 2’s second-favourite part of the day was the Bratwurst sausages, which might just be her favourite food ever. She managed to eat a whole one herself, which was pretty incredible considering their size. Sadly, the weather for Oktoberfest was not the greatest; it alternated between rain and shine all day. 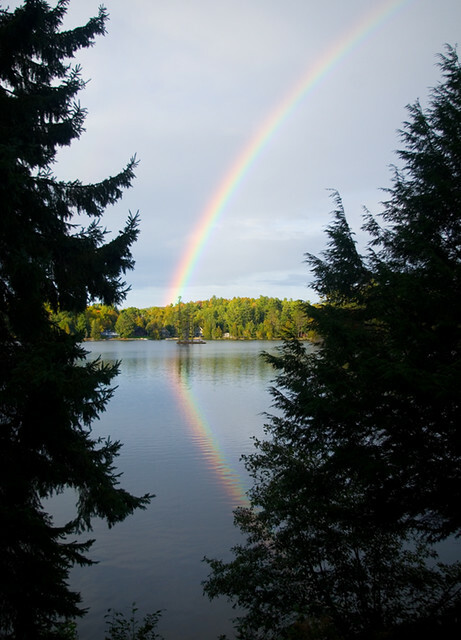 But this meant that before we left the cottage for the last time this season, we were treated to an especially brilliant rainbow over the lake. Not a bad goodbye, if you ask me. 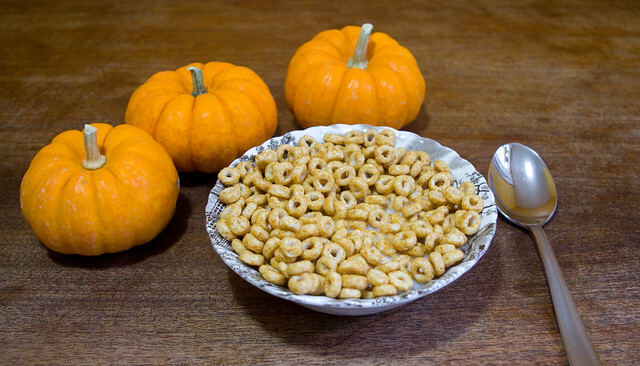 I wrote last week about finally canning my Halloween pumpkins. So far I have done two of the four. 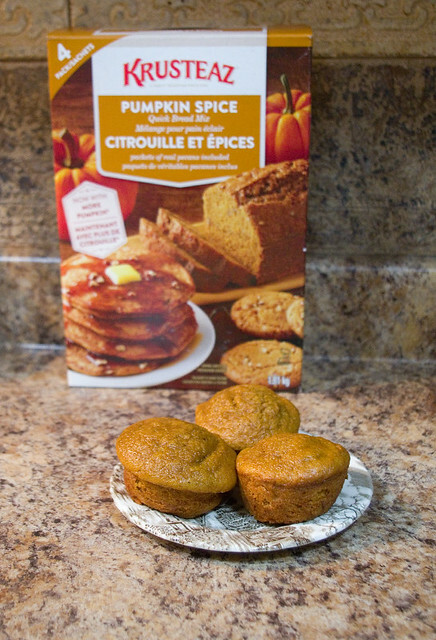 For one of them I simply froze all of the pumpkin puree that I created by roasting the gourd and then running the flesh through a food processor. The other pumpkin I turned into pumpkin butter. 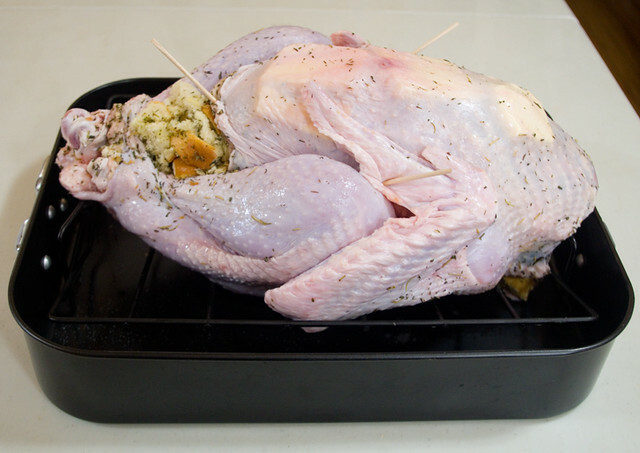 Then I cook it with the lid a bit ajar so the steam can escape (some newfangled crock pots have a vent, but mine is probably older than me so it does not) for about 24 hours, or until the butter thickens. If it doesn’t reach the desired thickness in this amount of time, sometimes I will cook it a bit on the stove, since I find that leaving it longer than that in the crock pot can make it taste burnt. 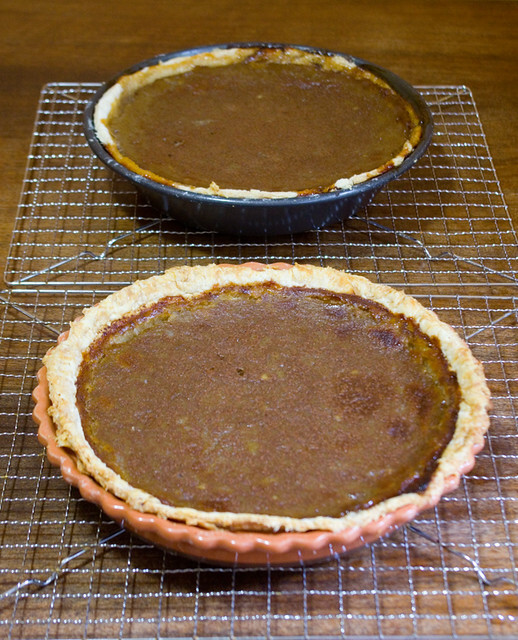 When it is ready, it will have changed from orange to a deep, nutty brown. 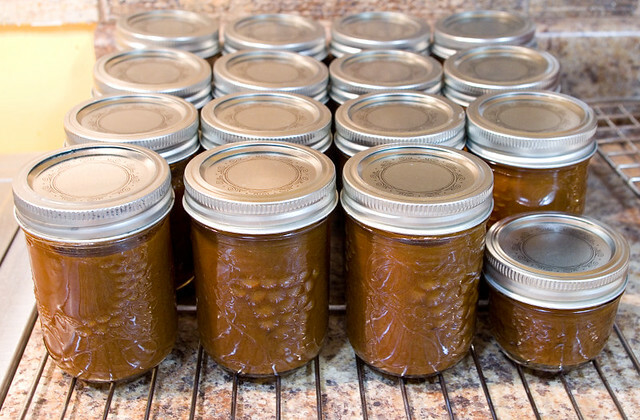 Now, I’d been making pumpkin butter for years using this recipe and then hot-water-bath canning it, and I never had any problems. 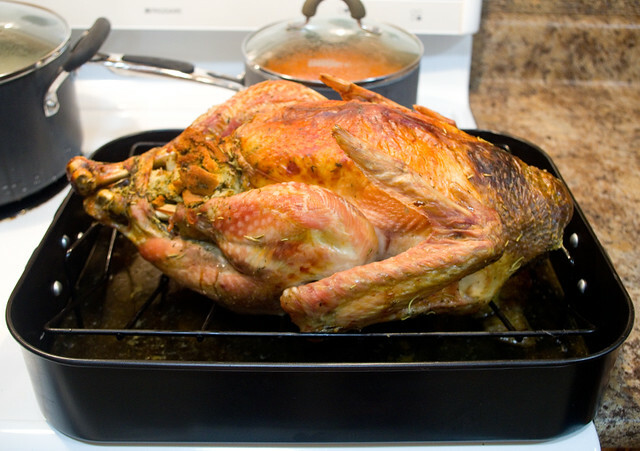 I was using what I thought were USDA-approved recipes — and, indeed, they used to be! 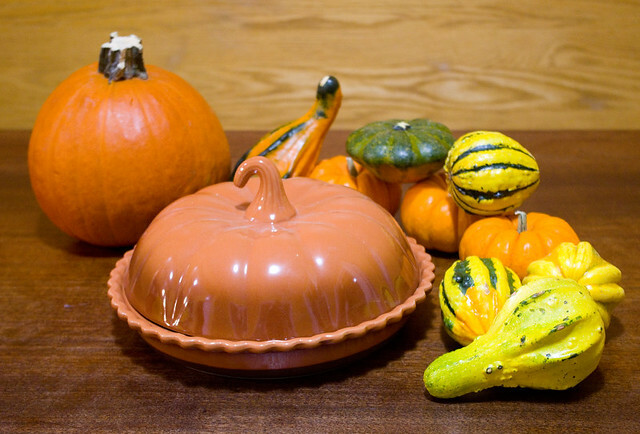 But the rules have changed over time, and now it’s no longer recommended to can pumpkin butter (or even pumpkin puree, which is less dense) at home. So once this pumpkin butter is complete, it’s going right in the freezer — which is the approved process. I use wide-mouthed mason jars to avoid cracking as much as possible, I don’t fill them all the way, and I make sure they’re totally cool before I freeze them. I still will lose a few every year to cracked glass. Of course, you can always buy plastic freezer jam containers and avoid cracked jars, but I like to give my preserves as gifts, and I find the glass jars to be much more attractive. Now I’m a little bit paranoid about the whole thing, and I don’t want to make anyone sick, so I do pressure-can my pumpkin butter first. I process it for an hour (being careful not to let the canner boil dry), and when the cans come out of the cooker I can still feel butter boiling inside the jar. 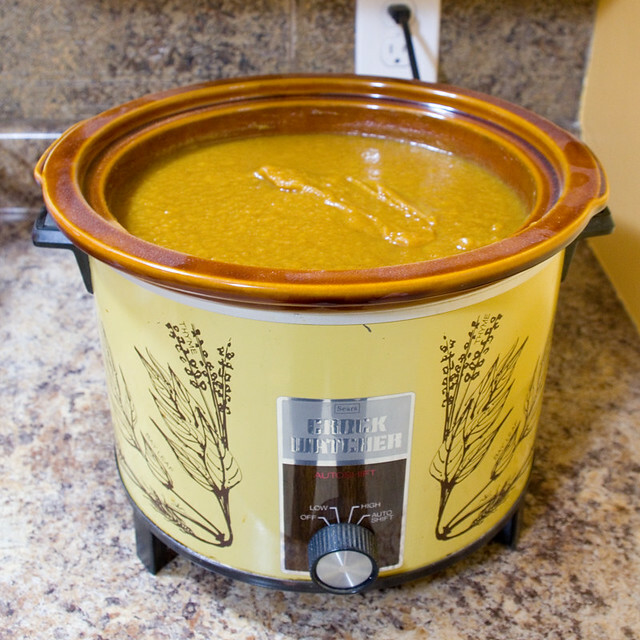 In addition to making the pumpkin butter safer, I find that pressure cooking it for this long also changes the texture. I wonder if this is because it is guaranteed to reach the jelling point (220°F to 222°F)? I have to admit that I find pressure canning more than a little terrifying. 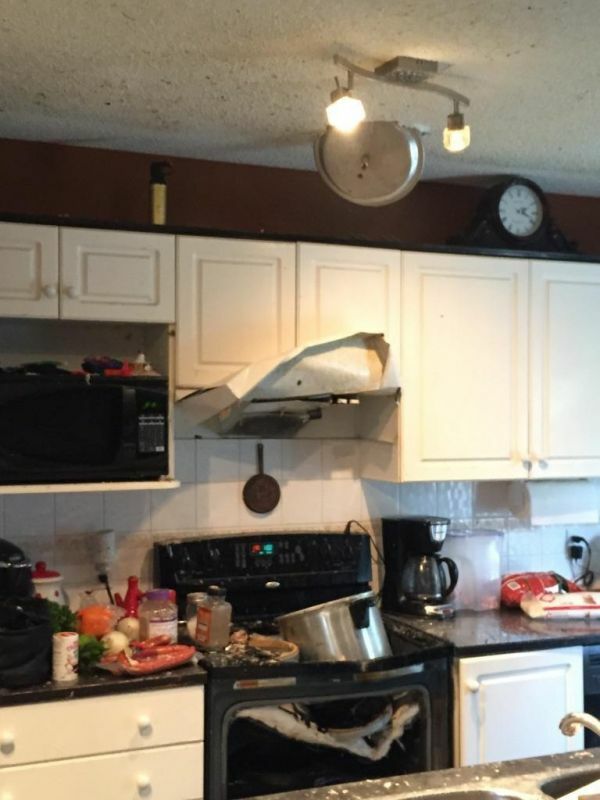 The steam hisses out at irregular intervals and constantly makes me think I’m going to end up with some disaster like this. In reality, that hissing means that the pressure is venting properly — what’s really a problem is if it stops (if you haven’t turned off the heat underneath first). That means that your steam vent has clogged and the pressure inside is building up disastrously. In the end, I ended up with fourteen 250mL jars and one 125mL jar of pumpkin butter. Now all they need are labels, and they’ll be ready for the freezer! A while back a friend of mine offered to let me pick crab apples from trees just outside of her back yard, on land that is owned by her community association. She has been picking apples from those trees for years in order to make crab apple jelly, as have a number of other neighbours who are inclined to make preserves. These totally wild, untended trees produce an overabundance of fruit every year, and the canners in the neighbourhood only make a tiny dent in that. I’d never made jelly before, but I figured sure, why not? I love cooking with ingredients that I can harvest locally, especially when that harvest is free! The first thing that I realized is that making jelly is a lot more difficult than making jam. After washing all the tiny little apples and making sure to remove all leaves and stems, you have to cut them all in half. Sometimes the fruit can be wormy or rotten inside even though the outside is pristine, and cutting it in half means that you can check every single one. Then you have to cook the fruit, strain it through a jelly bag (being careful not to squeeze the bag so that the jelly will remain clear), boil the resulting juice along with sugar and any additional ingredients until set, and then finally can it. After all that work, I was really happy that I liked the end result. 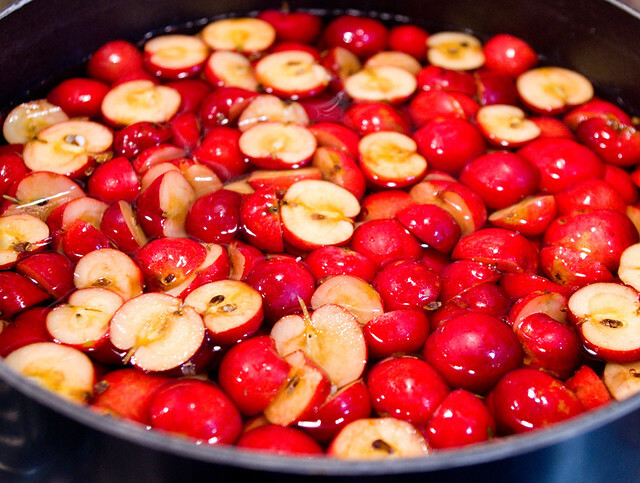 Crab apple jelly is packed with tart flavour, even with all of the added sugar. I’m definitely going to make more next year. I’ll be sure to pick twice or even three times as much fruit. It’s not like the neighbourhood wildlife will miss the relatively small quantities that I will use. 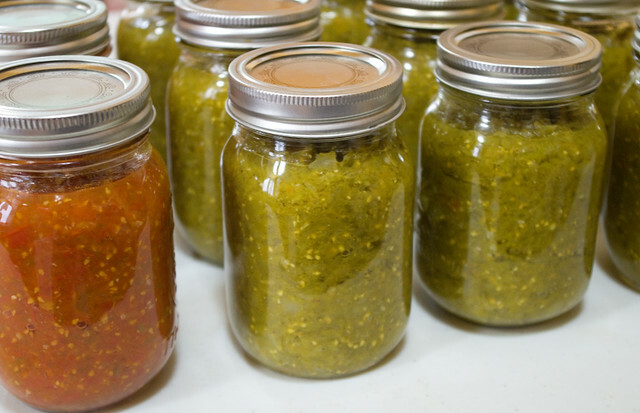 Although there are many variations when it comes to additional ingredients such as lemon juice, lime juice, or in one case hot peppers, all of the recipes seem to agree on a ratio of 1:1 of volume of strained juice to white sugar. As an aside, if you’re interested in harvesting unused fruit from local sources and aren’t up to approaching homeowners/tenants on your own (although if you’re shy, a politely-worded letter is often well-received), you could volunteer for an organization here in Ottawa called Hidden Harvest. The group harvests fruits and nuts that would otherwise go to waste on public and private property. When the bounty is harvested, one quarter goes to the homeowner, one quarter goes to the volunteer harvesters, one quarter goes to the nearest food agency, and one quarter goes to Hidden Harvest. The portion kept by Hidden Harvest goes to their sponsors, who in turn help pay to run the organization. Last year alone the group harvested almost 4,500lbs of fruit and nuts, and donated almost 2,000lbs of that to charity. In my case, I’m a homeowner whose apple tree drops hundreds of pounds of fruit every year, and I’d love to be able to have Hidden Harvest come and take most of the fruit away. I don’t need nearly so much. However, I’ll have to deal with that poor tree’s apple scab first. And my poor little pear tree‘s harvest of four pears this year isn’t worth volunteering. Perhaps when it grows a little bigger. Next year I’m seriously considering becoming a volunteer harvester, though. As for this year, I understand that apples with apple scab can actually make a better hard cider, so if any cider-makers want to clean the rest of the apples off of my tree, they’re welcome to them. Maybe one of these days I should just buy/make a cider press. With my backlog of canning to do and a whole lot of events, parties, and decorating happening before Hallowe’en, I haven’t been making too many complicated meals lately. Now that the temperature has finally dropped (last night it dipped below freezing), that means that I’ve been trying to make hearty suppers that don’t take too much advanced preparation. 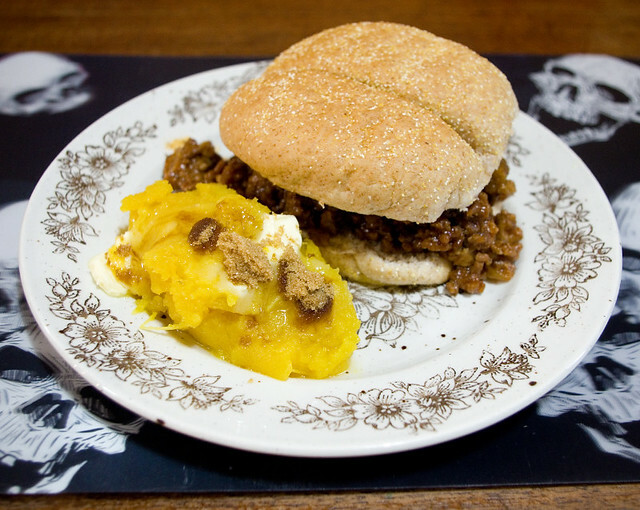 Sloppy Joes with a side of acorn squash with butter and brown sugar. Believe it or not, I’d never made Sloppy Joes before. It’s just not something we ever ate as a family. 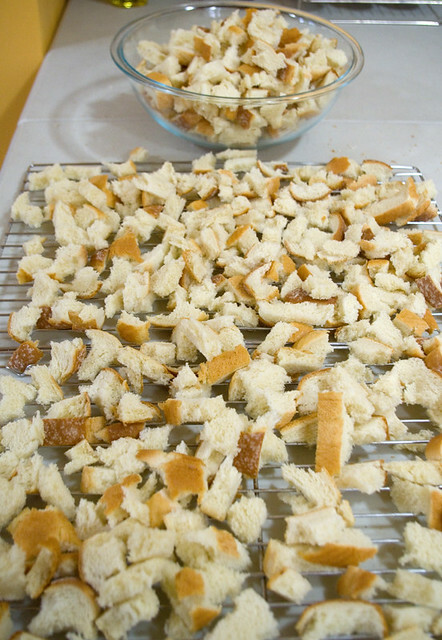 The closest we’d get would be open- or closed-faced sandwiches of chopped up bits of leftover beef, pork, or chicken, smothered in leftover gravy. But I’d taken the Amish Community Cookbook (2017) out of the library, and I wanted to try at least one recipe from it before I had to return it. I didn’t think that Sloppy Joes were a particularly Amish dish, but there was an uncomplicated recipe on page 63, so I gave it a shot. It was really good! I had my parents over for dinner and they liked it too. My mom pointed out that the sauce is actually a lot like the one she uses for slow-cooker pulled pork, and I have to agree (keeping in mind that I love pulled pork too). 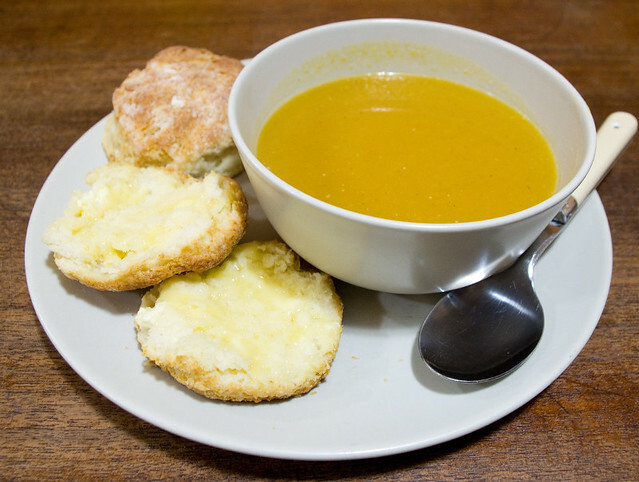 Curry butternut soup with Dad’s biscuits. The other night I needed something I could put together quickly, so I dug through my freezer and thawed out a couple of containers of curry butternut squash soup. I’m pretty sure that my mom made this dish and shared it with me, because I certainly don’t remember making it. The label was dated December 2016, though, so it might just be time making me forget. My husband pointed out that the labels were in his writing and the containers were our own, which indicates that I’d made the soup, but I think it’s just as plausible that I had to return my mom’s original container. Either way, I don’t know what the recipe was for this one (another one of those pre-blog things), but it was perfect for a cold fall evening. The biscuits I served alongside were Dad’s Biscuits, which I whipped up in about the same amount of time it took to thaw the soup on the stove. 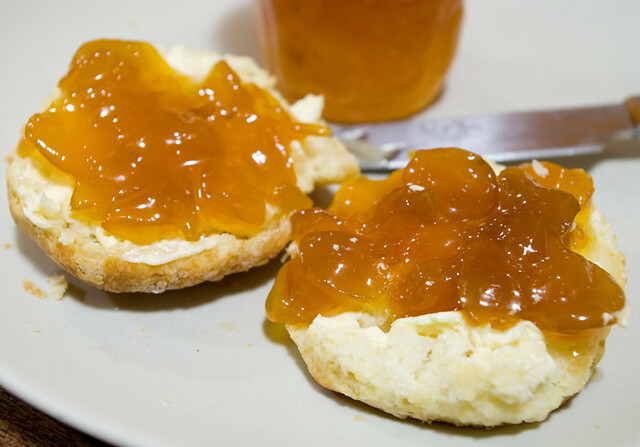 Since we already had some steaming fresh biscuits, I cracked open the jar of mirabelle plum jam that my friend made from the fruit of her neighbour’s plum tree. I spread the jam generously on biscuits as dessert. My mouth is watering just thinking about that it. My friend was a little worried about the set, thinking that it would be a little bit too runny, but I thought it was perfect. 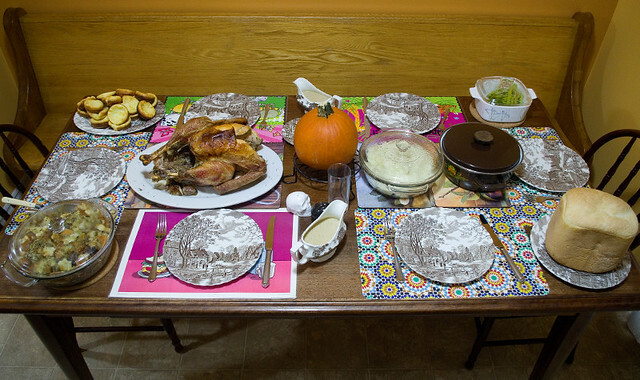 Despite the flowers (a hostess gift from my honorary aunt), this dish was anything but fancy. I made up some ramen using turkey broth (made from the bones of the Thanksgiving turkey) flavoured with a dash of Memmi Noodle Soup Base. 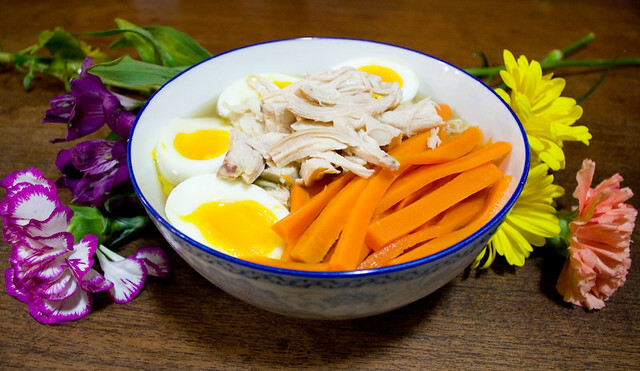 I topped the noodles with leftover rotisserie chicken, soft-boiled eggs, and steamed carrots. My family added masago (capelin roe) and dried shrimp to their tastes. It was hearty, filling, and good for what ails you — especially if what ails you is the cold that seems to be going around right now. I’ve always found that steamy bowls of soup help clear out the sinuses.